As a child, Tash Carmody witnessed the kidnapping of Mallory Fisher. Yet nobody would believe her account of the event—that Mallory was abducted by Tash’s imaginary friend Sparrow. Nine years later, the Fishers have returned to Port Bellamy, stirring up old memories and unanswered questions. Mallory, traumatised and mute, has no recollection of the week she went missing. And Tash, having come to accept that her imaginary friend was never real, is beginning to see him again. Keen readers of mystery novels who are looking to solve the central puzzle may find the plotting of this debut YA thriller a touch heavy on the foreshadowing, and the reveal itself a little flat. That said, the character drama that the mystery frames is top-notch. Sarah Epstein has a keen eye for family dynamics and the small moments of disillusionment with adults that occur throughout childhood. The story is similarly thoughtful about the emotional toll of women whose stories aren’t believed; Tash’s trauma feels utterly convincing, and her doubts about her own experiences are heartbreaking. 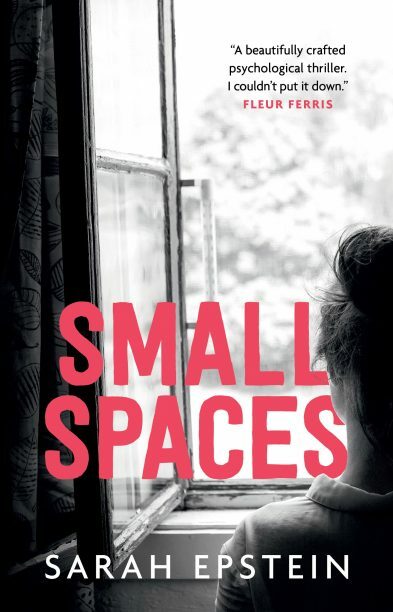 Even given the mystery’s shortcomings, Small Spaces is an easy recommendation to make for readers aged 14 and up. It should play well with fans of E Lockhart, Justine Larbalestier and Fleur Ferris.